The crypto market has suffered a lot of downturns these past few months, with its flagship digital currency, Bitcoin (BTC), falling below the $7,000 margin and currently trading at $6,412 as of this writing. However, its popularity seems to be going in the opposite direction as universities are exploring the nascent technology. Businesses are absorbing blockchain and cryptocurrency at varying degrees. As such, the need for expertise rose at a commensurate rate. Prominent schools are now trying to create curriculums around the innovation hoping to produce experts in the crypto world, Financial Times reported. But that’s easier said than done since this market is relatively new to the mainstream world. Moreover, variations of the technology – called hard forks – are being spawned left and right, making the development of specialized classes all the more challenging. “This is moving much faster than people expected. Business schools will have no choice but to update curriculums,” said David Yermack, a professor at the New York University Stern School of Business who handles finance and business transformation. He was among the first individuals to teach a course on blockchain and cryptocurrencies, in the university’s MBA program, four years ago. Yermack’s current class comprises 230 students, which is double the number in his course last year. 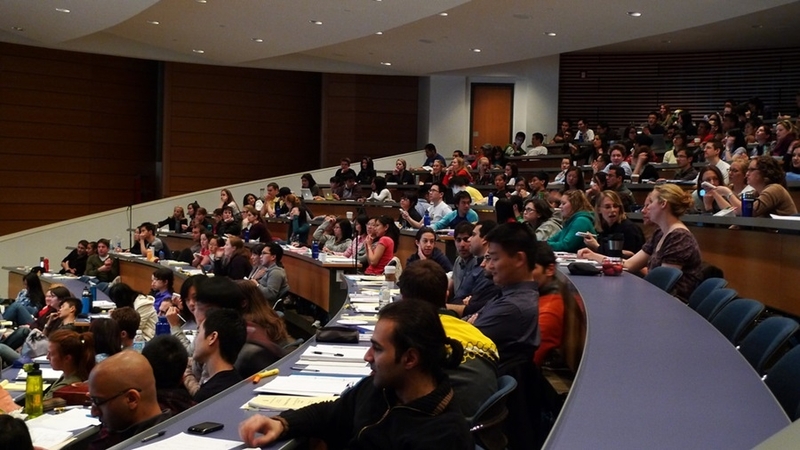 The professor said that they’ve elected to transfer the class to a larger auditorium to avoid student congestion due to the exponential growth experienced by the course. But it isn’t just the business departments of universities that want to integrate this course into their classes. Garrick Hileman, a research associate and lecturer at the University of Cambridge, said that their accounting, finance, business, and law departments are interested as well. “It wouldn’t surprise me to see some turf wars break out over who owns the blockchain curriculum at business schools,” said the professor, who developed the first ever course on blockchain technology for the university. The need to educate people on this technology is imperative since it has disrupted a multitude of sectors, including banking, the shipping economy, the music industry, and even the cattle trade.